We are all about team work. When we work together you get the best results from your rehab. From practice manager to Physiotherapist, Biokineticist and Chiropractor - we aim to make your experience excellent. A biokinetist helps to improve one’s quality of life through movement and exercise. From working with children to the elderly, from the weekend warrior that wants to improve their 5km running time trial to the athlete that wants to win the Dusi, we want to help each and every client reach their goal. It is not just exercise prescription for the athlete; we deal with orthopaedic rehabilitation as well as preventative rehabilitation. 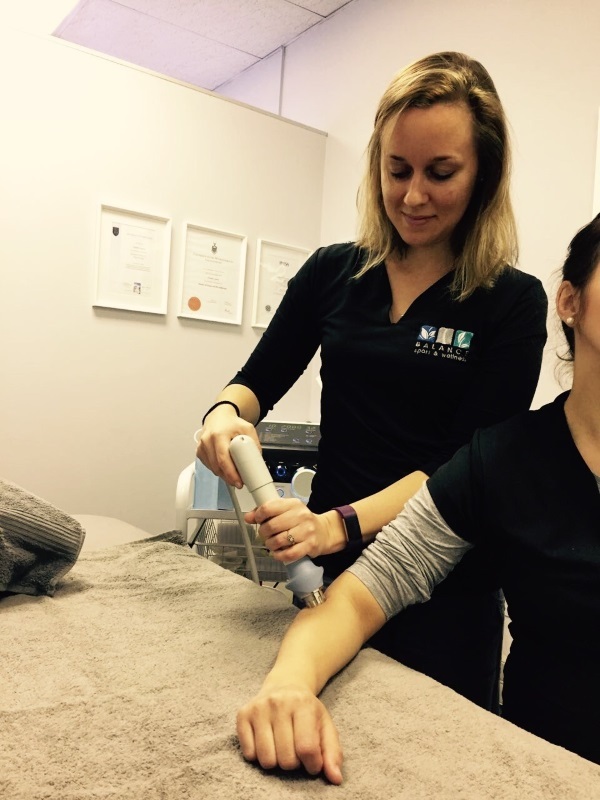 Our biokineticists at Balance Sport & Wellness work closely with our physiotherapists and chiropractors and have built up years of experiences within our practice and within our schools, they have helped athletes make national and provincial teams and have even travelled to the RIO 2016 games. Our biokineticists are constantly going on courses and workshops to keep updated with new research and methods of treatment. As a biokinetist we can help you come up with a plan on how to reach your goal. As an exercise specialist we perform assessments were we can identify your weaker areas and provide specific exercises to help improve one’s strength. This can either be done in house with the biokinetist or with a program for home or the gym. We are then able to show you on how to manage your workload depending on the events coming up. Often clients come into the practice with specific injuries. Our aim is to assess the injuries and use specific rehabilitation techniques and exercises to strengthen the area affected, reduce pain and restore that joint back to its normal function. We may need to send for x-rays, Ultra Sound for further investigation or for a second opinion with an Orthopaedic surgeon. Post orthopaedic rehabilitation is the restoration of the muscle back to its working function after an operation as occurred. As you will see the physiotherapist first post operation for the hands on techniques to settle the pain and inflammation, the biokinetist then takes over for phase 2 of treatment where we now want to build up the muscle and get you back to your sporting activities. For those that are wanting supervised small group training, we provide Pilate’s classes for core strengthening and own body weight training. 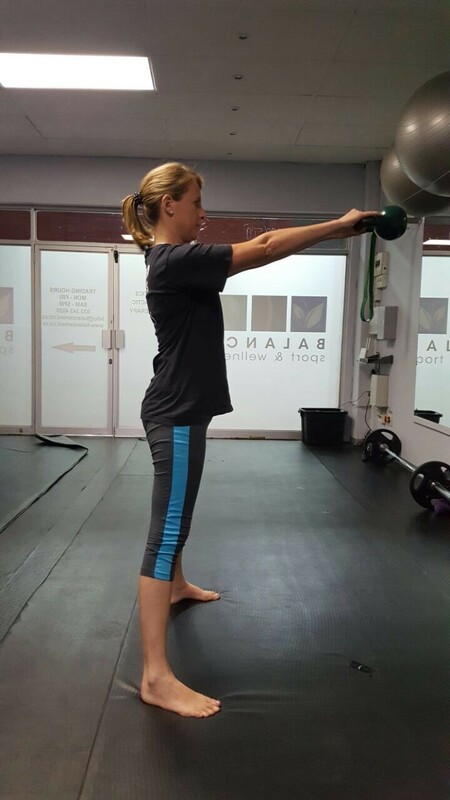 For those that are more interested in weight training, we have kettlebell classes where we focus on strengthening functional movement patterns that are continuously being used while you play your sport. Chiropractic means “done by hand”. It is a natural, holistic, drug and surgery free, approach to health. Chiropractic focuses on the understanding that good health depends on normally functioning joints, nerves and muscles. When the movement of the spine is altered (which could occur from everyday actions such as a fall, car accident, poor posture or high stress levels), the nervous system may be irritated causing dysfunction in the body which presents as pain, numbness and muscle irritation. Chiropractors aim to restore the natural movement of the spine and/or other joints and therefore decrease nerve irritation. They may also work closely with other health care professionals, such as GP’s, Homeopaths, Physiotherapists and Biokineticists, for the overall wellbeing of the patient. You do not need a referral to see a Chiropractor, you can just phone and book an appointment. When you go for your first consultation with a chiropractor you will be asked your full medical history and indepth questions about the pain you are experiencing. Your chiropractor will ask to see any XRays or Scans that you have had done, and may potentially send you for some if need be. Treatment in our practice may include soft tissue release (such as massage, dry needling and electrotherapy modalities) traction, joint adjustments and stretching. Chiropractors restore the movement of the spine by using high velocity, low amplitude joint adjustments. You may hear a click when your Chiropractor adjusts your spine, this is purely the gas in the joint being released. The quality of an adjustment is not dictated by the clicking sound. Most Chiropractors are gentle in their technique and some patients will experience immediate relief. Some patients, may however need a few treatments to correct the problem, depending on how long the problem has been present. At Balance Sport & Wellness we are primarily an outpatient Orthopaedic physiotherapy practice with specialist therapists working in vestibular and neuro rehabilitation as well. 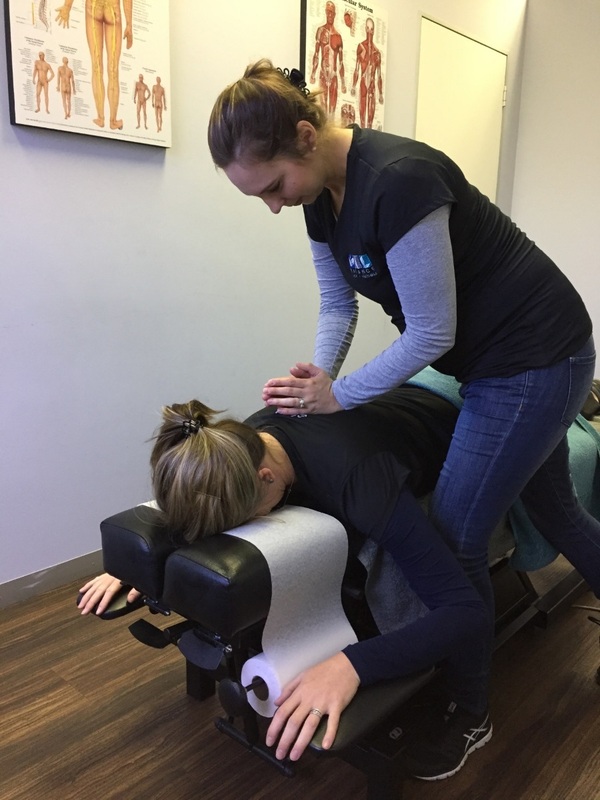 Our therapists boast many years of experience in a variety of countries and work environments ranging from the Para and Olympic Games; specialist schools; international traveling with sports teams and for furthering of academic qualifications. Post operative and repetitive strain injuries; acute and acute on chronic injuries; headaches; neurological pain; muscle strains; back pain; sinus; are analyzed according to sport or work and lifestyle specific criteria and treated. By fast tracking the healing process using latest technology and cutting edge hands on techniques; as well as correcting bio mechanical disorders we aim to get you back on the field or to your lifestyle fully rehabilitated in the shortest possible time. We have a specialist therapist working in this area following a specific qualification through international (London) and local (UCT) avenues. This area of physio works to correctly diagnose and successfully treat conditions related to the inner ear. These include vertigo, motion sensitivity, dizziness and balance conditions. We have a specialist therapist with a masters degree in this area working to help children and adults to correct conditions related to neurological disorders. This includes head injury, stroke, congenital and birth related conditions. © Balance Sport and Wellness.